Two people were transported to Desert View Hospital after a two-vehicle crash along Highway 160 at Homestead Road. 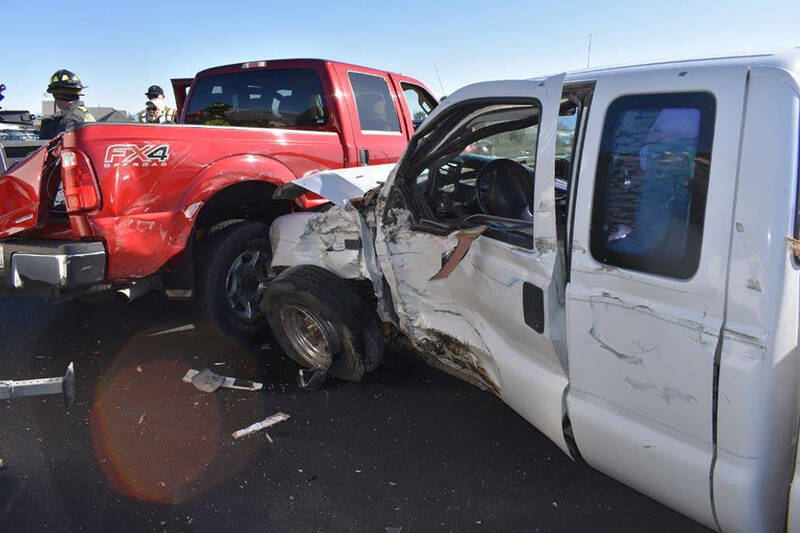 Special to the Pahrump Valley Times Traffic was diverted around a two-vehicle collision along Highway 160 and Homestead Road on Sunday afternoon March 25, just before 4 p.m. Two people transported to Desert View Hospital are expected to recover from their injuries. 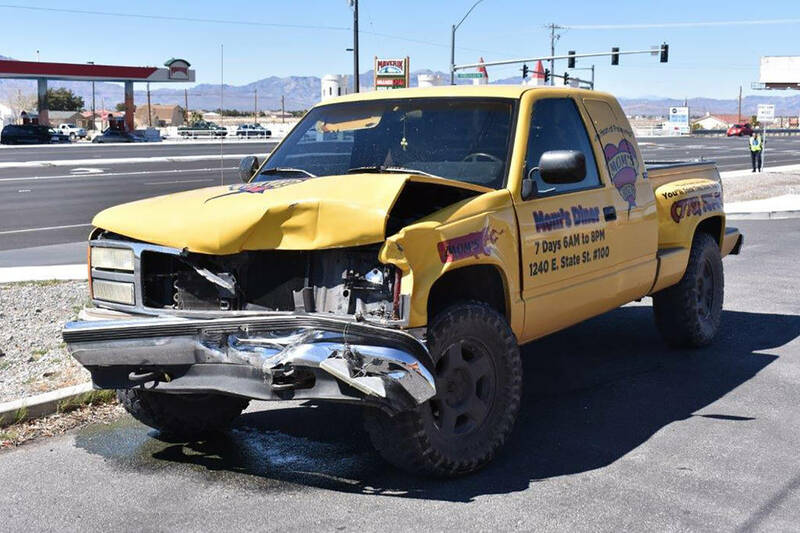 Special to the Pahrump Valley Times One occupant self-extricated from a two-vehicle crash prior to the arrival of first responders at Homestead Road and Highway 160 on Sunday afternoon. Upon arrival, emergency crews found a t-bone type collision with significant damage sustained to both vehicles. A travel trailer involved in the crash overturned and spilled its contents onto the roadway. Crews worked for several hours to clear the scene. 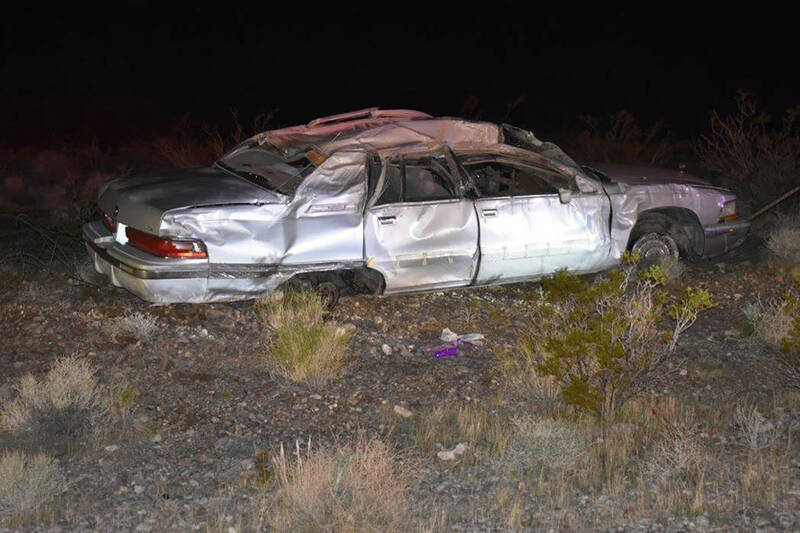 Special to the Pahrump Valley Times Three people transported to Desert View Hospital are recovering from a single-vehicle rollover crash Thursday evening along Highway 160, near Mile Marker 21, on the southend of town. Fire Chief Scott Lewis said all three occupants had self-extricated from the vehicle, prior to the arrival of first responders. 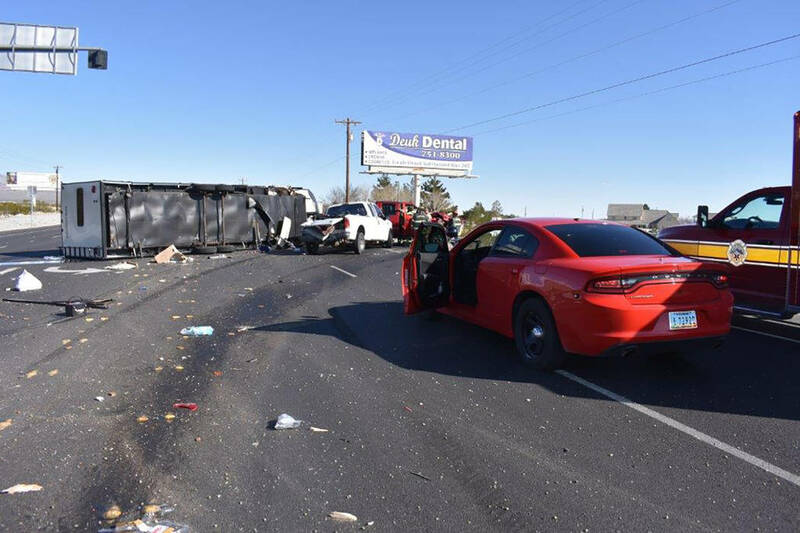 Special to the Pahrump Valley Times One person was transported to Desert View Hospital following a two-vehicle crash at Highway 160 and Winery Road on Friday morning March 23, just before 11:30 a.m. A driver of one vehicle involved in the crash was said to have fled in another vehicle. The Nye County Sheriff's Office has not indicated whether that person was apprehended. Pahrump Valley Fire and Rescue Services Chief Scott Lewis said crews arrived on scene just before 4 p.m. on Sunday, March 25. Traffic in both directions was detoured around the crash site as crews tended to the injured and worked to clear the scene. One occupant had self-extricated from one vehicle prior to the arrival of first responders. Earlier last week, at least three people are recovering from a single-vehicle rollover crash along Highway 160, near mile marker 21, on the south end of town. Lewis said crews were dispatched to the scene on Thursday, March 22, at 7:36 p.m.
An early morning kitchen fire prompted the response of Pahrump fire crews to the 1900 block of south Highland Avenue on Friday at 1:30 a.m.
Also on on Friday, emergency crews were dispatched for a report of an injury motor vehicle accident at Winery Road and Highway 160, just before 11:30 a.m.
Several hours later, emergency crews responded, along with California first responders, to an off-road motorcycle crash off of Highway 127, near Highway 190.